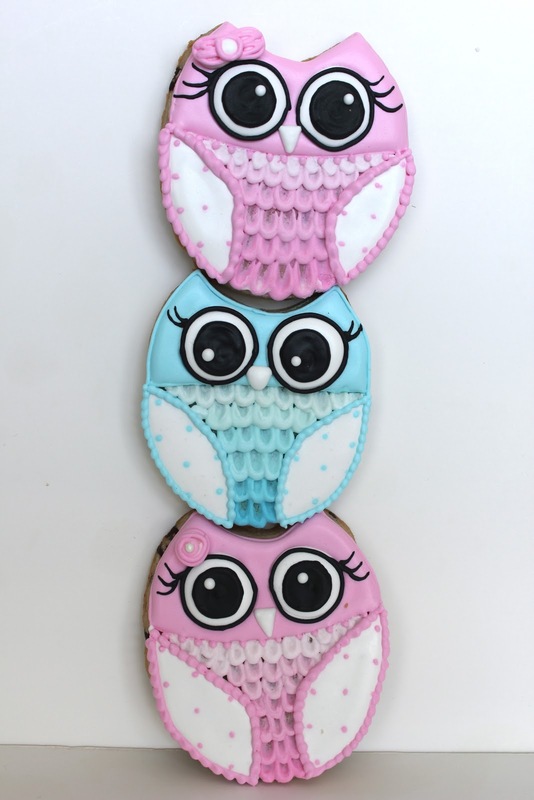 These cute little owl cookies are off to Texas for a gender reveal party! I used this chocolate chip rollout recipe and it was amazing! I added sour cream and buttermilk to mine to make them a bit softer, and just a tad extra vanilla for sweetness. We've been eating the leftovers all week, they are delish. For the ombre feathers, I used 6 colors of pink/blue and did my own version of brush embroidery. 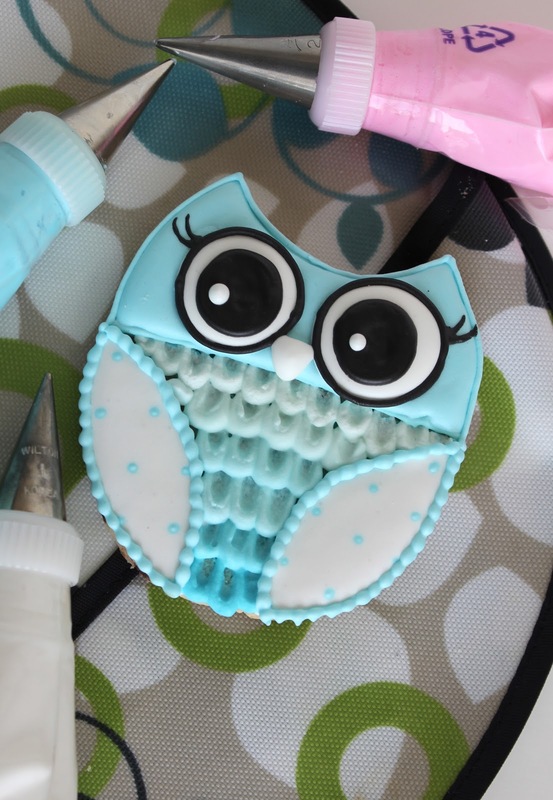 Instead of using the bristles of a paint brush, I used the opposite end to drag the icing and I love how it turned out! 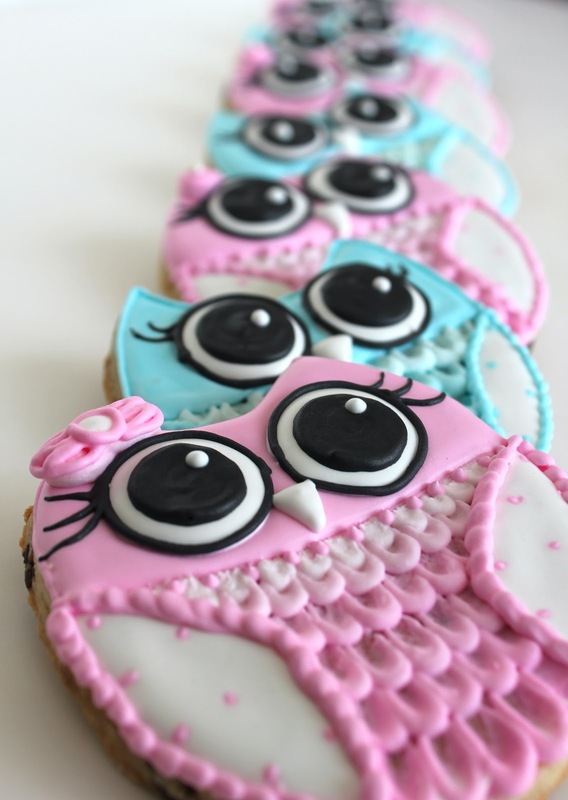 All of the 'girl' owls had little roses or bows. Thanks for your order Crystal! Adorable! You spent a great deal of time on these, I'm sure!